Roger Corman’s The Little Shop of Horrors (1960) was a pretty terrible movie; it was largely improvised on a set built for a different movie, but when Howard Ashman (Book & Lyrics) and Alan Menken (Music) penned a musical adaptation for the stage it quickly became a cult classic on Off-Broadway and on screen. This production, by Luckiest Productions and Tinderbox Productions is the best Little Shop we’ve seen; it’s superbly designed and directed, and boasts a stellar cast that brings the original sci-fi story to vibrant life as if for the first time. Despite the smart commercial decision to put this tiny set and its enormous plant into QPAC’s Playhouse rather than its Cremorne Theatre – and I don’t know the dimensions, I just loathe the empty space around contained, touring sets – it looks fantastic… Imagine though, what it would feeeeeel like to be literally surrounded by the plant! How much more would that cost??? A sophisticated schlock-injected film noir aesthetic draws us into a black and white world, just like Dorothy’s home in Kansas before she’s tossed into the Technicolor of Oz (I remember when we tried to fix the settings on our big enormous twelve-inch screen the first time we were allowed to stay up late to see The Wizard of Oz televised!). And it’s not just the set, it’s the whole of Skid Row, metaphorically grey, drained of all vibrant colour until Audrey II – and money and fame and true love – enter their lives. This is bold and inspired design (Set by Owen Phillips, Lighting by Ross Graham, Costumes by Tim Chappel and the plant, created by Erth Visual & Physical Inc), right down to Audrey’s on-trend grey hair, the black flower heads and stems, newspaper print with which to wrap them, the white plastic crime scene/Psycho shower curtain, and the shadows creeping up the walls of the shop; a creepy pre-cursor of the horrors to come. The dark themes of Little Shop are heightened here but not dwelt upon and I wouldn’t hesitate to take ten-year old Poppy, however; Opening Night clashed with a school disco so she had to consider her priorities… The school disco won. In the iconic roles of Audrey and Seymour, made famous in the movie musical (1986) by Ellen Greene and Rick Moranis, Esther Hannaford and Brent Hill stun us. I’ve never seen a truly original take on either character, but Hannaford and Hill have recreated these two, and in doing so, have also discovered an entirely new perspective on the unlikely relationship; it’s a sweeter, stronger dynamic. We love it. I adored Hannaford in King Kong, and as the vulnerable and self-destructive Audrey it’s as if she’s revisited the very essence of that era of filmmaking and also, the shadow of every domestic violence victim in the world. She’s certainly the tallest, leanest bombshell of all time, but at the same time so fragile… Hannaford finds a way to make every moment genuine; it’s about what’s going on behind the eyes, despite her entire time on stage being all about her gangly presence and OTT posturing. Delightfully awkward. Hannaford has said she didn’t focus on her singing until age 18 but she’s become one of our best, able to move effortlessly between speaking and singing without the irritating change in tone. I’ve never heard Somewhere That’s Green so beautifully shaped to make us ache and hope and remember to breathe. One of the comments Penny Mullen and I have made, as the judges of the Sunshine Plaza Breakthru comp for schools, is that as the kids get older and sing the same songs, the meaning of the songs will continue to change. I’ve heard Audrey’s song sung by so many young girls whom, thank goodness, have no understanding of it as anything more than a dream of having somewhere pretty to live, but Hannaford finds every bruise and broken bone in it. Heartbreaking. And Suddenly Seymour is a showstopper. Hill and Hannaford are perfectly matched and clearly enjoy every moment of their duet. But before we stop raving about Hannaford, I love love LOVE her breathy lower register, the European immigrant influenced New York twang, and the precision pause-for-effect tactics that have us in the palm of her hand from the outset. Is Hannaford the most underrated musical comedy performer in the country? Director, Dean Bryant, is brilliant. I love his global view; his ability to hone in on the small and truly epic stuff in a single moment; the comedy and real vulnerability in the tragedy (Sweet Charity for Hayes Theatre, Anything Goes for Opera Australia/GFO, I’ll Eat You Last, Priscilla and GAYBIES, anyone? And Christie Whelan Brown’s Britney Spears: The Cabaret, and Michael Griffiths’ In Vogue: Songs By Madonna and Sweet Dreams: Songs By Annie Lennox). Bryant takes a big bite out of what we thought we’d acquired a taste for before spitting it out and plating it up as a new, stunning winning dish. Amazing. And surprising that he hasn’t yet been lured overseas for a bigger bite of the cherry. Little Shop of Horrors exceeds all expectations. It’s brilliant. Don’t miss it. Hill was an awesome Lonny in Rock of Ages and he doesn’t disappoint as Seymour. A terrific singer and actor, Hill embraces Seymour’s nerdiness without making him pathetic. His tentativeness is endearing and when he finds the strength within to challenge the plant he elevates the character to hero status. He actually voices the plant too, an extraordinary accomplishment, making him a real multi-tasking musical theatre hero. Can you imagine that conversation with Director, Dean Bryant? You want me to do whaaaaaat?! And look, it doesn’t work perfectly – we miss some of the words, which we know are so witty and cheeky and funny, but it’s a very clever device. The urchins (Chloe Zuel, Josie Lane & Angelique Cassimatis) are suitably too cool for school and emanate a wonderful Hispanic flava: this from Crystal (Cassimatis) and Chiffon (Lane). As Ronette, Zuel raises the cool stakes through the roof, a magnet for the eyes. Together they are Avenue Q’s West Side Story girls. I missed Cassimatis in her show, Guilty Pleasures recently because TIMING, but after this performance I won’t hesitate to reschedule things to see her the next time she’s in town. Together these girls are quite formidable; powerhouse voices and perfect harmonies, slick chorey by Andrew Hallsworth, and sufficient sass to make any secondary teacher’s stomach turn. Yes, I had a moment of gratitude that there are times I get to work with some of the best kids on the Sunshine Coast! Tyler Coppin (he was pure evil magic in Chitty Chitty Bang Bang), makes Mushnik his Jewish own, easily surpassing all previous efforts I’ve seen to reinvent this role, and Scott Johnson brings us a genuinely dumb dentist (made famous in the film by Steve Martin and on the Sunshine Coast by Sam Coward), drawing on the same level of energy and wit that we saw from Vincent Hooper and Jake Ambrose in Heathers. (American footballers, I’m sorry, but there’s usually a reason a stereotype sticks). Brisbane’s (and Brisbane’s) Dash Kruck plays multiple characters superbly, and as much as I enjoy Hill’s performance, I can’t resist saying aloud online that I’d LOVE to see Kruck’s Seymour. As Hill’s understudy, if you happen to get him for a matinee or an evening performance at QPAC I don’t think you’ll be disappointed. Kuki Tipoki is another enigmatic performer with little stage time, but that’s because he’s a talented musician, and he plays guitar in the band. Under the masterful hand of Noosa’s favourite MD Andrew Worboys, this band is tight and funky and fun. Despite minor issues early on (some vocal distortion, some slow lighting cues, whatevs), the look and sound of the show is terrific. Bryant is actually brilliant. I love his global view; his ability to hone in on the small and truly epic stuff in a single moment; the comedy in the tragedy (a-hem, Sweet Charity for Hayes Theatre, Anything Goes for Opera Australia/GFO, I’ll Eat You Last, Priscilla and GAYBIES, anyone? And Christie Whelan Brown’s Britney Spears: The Cabaret, and Michael Griffiths’ In Vogue: Songs By Madonna and Sweet Dreams: Songs By Annie Lennox). Bryant is one of our brightest, taking a big bite out of what we thought we’d acquired a taste for before spitting it out and plating it up as a new, stunning winning dish. Amazing. Bryant’s Little Shop of Horrors exceeds all expectations, setting a new standard in the small scale revivals realm. 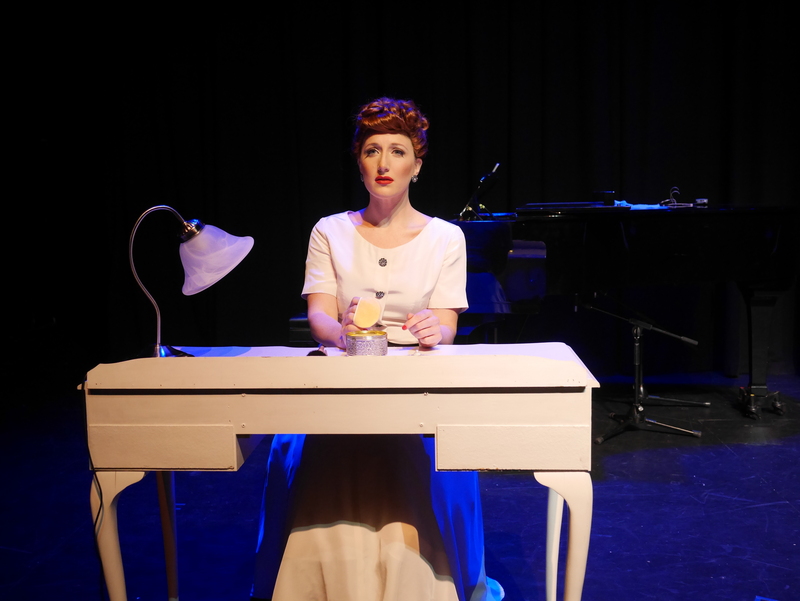 On Tuesday night at QPAC’s Cremorne, the gorgeous fifties’ frocks were out in force for Luckiest Productions’ cabaret festival hit, Everybody Loves Lucy, starring Elise McCann. I didn’t love, love, LOVE it but I LOVED McCann’s superb performance. Read my review here. You only have today and tomorrow to catch it so go and enjoy! Dress Code: Pinup Doll retro fifties frocks, baby! Mum wearing Jayson Brunsdon Black Label at Myer. Scarf from St Petersburg, Russia. 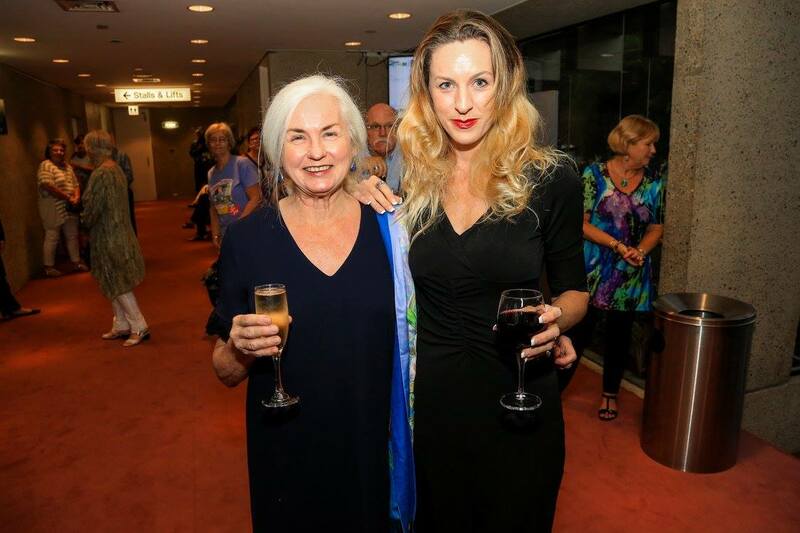 See more social pics on QPAC’s Facebook page. Lucille Ball? Game changer. Yeah, you know her. Actually, when I asked around at school, the kids didn’t know her. That made me feel old. She’s the funny female figure stomping grapes in a barrel, on the TV screen in the hotel room as Julia Roberts sprawls across the carpet eating strawberries and laughing her head off in Pretty Woman. Oh, right. You never saw Pretty Woman either… THAT makes me feel really old! Everybody Loves Lucy, directed by Helen Dallimore, and penned by the star of the show, Elise McCann, and Luckiest Productions’ Richard Carroll, is not quite all it wants to be yet, but it IS entertaining and enlightening; it’s a lovely, light evening of expert impersonation and an old school celebrity reality television story. I’d be interested to see the role in the hands of Francine Cain who, in lieu of a McCann Clone, is also touring the show (Go see her on the Gold Coast March 2). I guess we’re accustomed to multiple companies touring the same show on a grander scale (think of Wicked’s nine professional productions at any one time in the world! ), but not so the smaller cabaret pieces and this is testament to the show’s instant popularity, and the good business sense of Luckiest Productions. McCann MAKES this show and it’s just as well! After all, what use is a tribute if there is no similarity between the performer and the original artist? Here’s an artist who presents the iconic comedienne in minute detail; the characterisation both “on air” and off is exquisitely studied and presented with skill and finesse. We get all the comedy, but we are also gifted with an insight into the imagined mental and emotional state, first through song and then, intermittently, via the musings of an ordinary housewife and mother, who enjoys her gin and represents US ALL. ALTHOUGH, I DON’T DO GIN. (I did it once. Try everything once, right?). A very clever device, this character keeps us in the political-social loop as the times rapidly change and women everywhere followed Lucy’s lead in the pursuit of independent work and play. The physical comedy is natural and bold, the facial expressions hilarious (THE WINK! ), and the voice lilts and builds and holds and diminishes to a whisper, as the storytelling requires. Joined by multi-talented Musical Director, Nigel Ubrihien, who appears on stage as Desi Arnaz (he’s fantastic – I would like to have seen him reappear as Desi by the end so our “on air” couple could give us that last look), McCann takes us through years of television sitcom success. We also see, on the other side of the camera, the couple’s failed marriage, despite every effort to keep up appearances. It’s the classic balance of comedy and tragedy, drawn from real life, making it all the more devastating. The sadness emanating from the dressing room would get you down without the clowning; succinct excerpts from the original skits, which punctuate the storytelling and remind us that it was Desi who called the shots but Lucy who delivered the goods. And these scenes are so good because McCann embraces each one as if it had always been her own story. The comedy is completely natural, with the ballet lesson bringing the house down, and the Vitameatavegamin commercial taking the cake. This is McCann at her comical best! In complete contrast, she sings lovingly to her baby in utero. It’s a simply played and suitably stunning moment, and she takes her time with it, thank goodness. When the performer is confident enough to make us wait while she takes her time to work through many layers of conflicting emotions we are also able to invest more deeply in character. We travel with McCann, on a journey that takes her far away from where she started. So far away, in fact, that we end up seeing the ordinary housewife and mother again! This doesn’t work as well as somebody (everybody) had probably hoped it would. On opening night it meant that the mood fell flat, and I thought, “It’s just me” until I spoke with a couple of normal people (ie not industry types. Ready, normal people?! ), who were not sure how they felt about the show by the end of it! One of them had expected hilarity for the finish, and another had been waiting for another (funny) song. Oh well. All you gotta’ do is make one person happy, right? I’m reluctant to say it – I wanted to be blown away by this production – but for me the show doesn’t quite hit the mark. It has all the elements, but despite its fluid transitions and a story mostly well told, there’s some flow lacking in the structure. The opening number, Make ‘Em Laugh, lacks punch and feels like it hits us before we’re ready for it (are we really not quite ready for it?!). With the beautiful blend of comedy and potential for tears, it quickly makes up some ground, but goes awry again with a television interview in an attempt to neatly wrap up the narrative. Clearly, audiences everywhere (else) LOVE IT! (NOOSA AUDIENCES WOULD LOVE IT!). It’s McCann’s performance I adore; it’s perfectly pitched, and delivered with all the highs and lows to crack open our hearts. McCann makes us remember why everybody loves Lucy. Final shows today (Thursday February 26) at 1:30pm & 6:30pm and tomorrow (Friday February 27) at 1:30pm & 7pm. 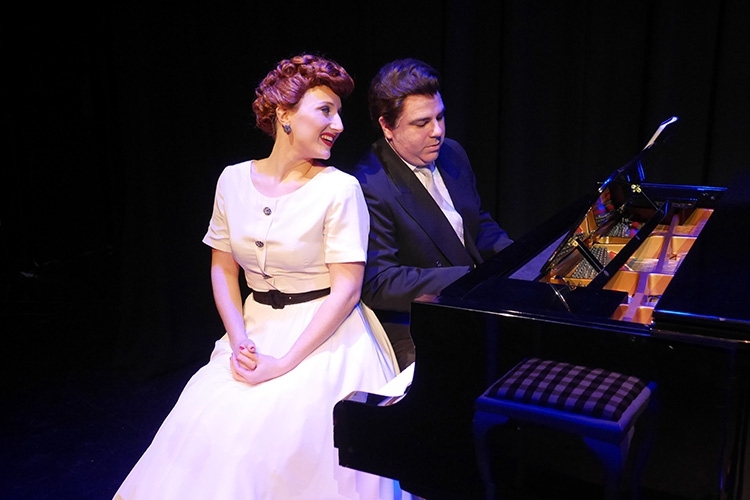 Everybody Loves Lucy opens tonight! Tags: desi arnaz, elise mccann, everybody loves lucy, i love lucy, Lucille Ball, Luckiest productions, Nigel Ubrihien. 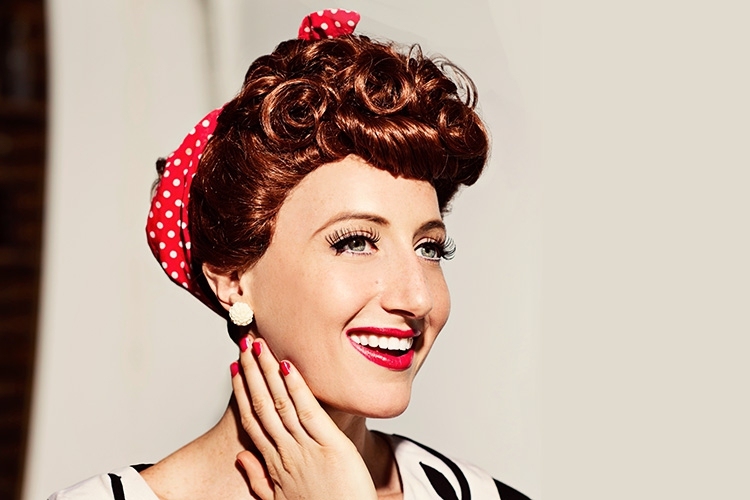 Queensland will fall in love with Lucy all over again as Everybody Loves Lucy brings the larger-than-life character from one of America’s most popular sitcoms to the stage 24-27 February 2015 at (QPAC). Lucille Ball was the Queen of American comedy for decades. Her signature role in I Love Lucy saw her win the public’s hearts and reign supreme as television’s biggest star. 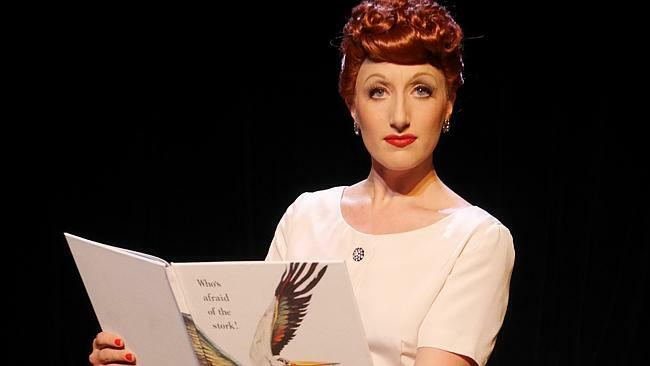 Now, see the wacky, fearless, and totally endearing Lucy come to life on QPAC’s Cremorne Theatre stage in this superbly-written intimate cabaret that has been described as equal parts hilarious and thought-provoking. Elise McCann (Mamma Mia, South Pacific) presents a tribute to a true trail-blazer, joined by musical director (and sometime ‘Desi’) Nigel Ubrihien. Lucille Ball broke the mould for the way women were allowed to behave on TV. Joined by her real-life and on-screen husband Desi Arnaz, she held up a fun-house mirror to every marriage in America – exaggerating and making amusing every idiosyncrasy of married life. But as Lucy’s popularity thrived, her relationship with Desi suffered both professionally and privately. Her own marriage may have fallen apart, but Lucille’s brave and outrageous depiction of married life saw her credited with saving the marriages of millions of Americans. Intelligent and well-executed, with a generous serving of laughs, Everybody Loves Lucy is one that is not-to-be missed for the trail-blazer inside all of us. Book here. Christie Whelan is a goddess. She’s the girl-next-door goddess and, as Britney Spears, she is everything we recognise in the pap’s (that’s paparazzi’s) portrayal of the poor girl who did it again…oops. Britney’s journey has been a public one but in Dean Bryant’s brilliant comi-tragedy cabaret, with musical arrangements by Matthew Frank, Whelan lets us into the private world of the pop star. It’s imagined, though the anecdotes are mostly true versions of every situation we’ve ever seen plastered across the print media and shared across social media – and the truth hurts. This is a role that fits Whelan as well as her tank bandage LBD (very Herve Leger). With spray-tanned legs up to HERE and her shiny silvery-pink nails and blonde, blow-dried hair, Whelan looks and sounds enough like Spears for us to suspend disbelief. She isn’t trying to look just like Britney and she isn’t trying to sound just like Britney but, just as any A-class actress can do, she’s able to convince us that she IS, just for an hour, Britney Spears. The mannerisms are unstudied and real, the movement is the character’s show of bravado constantly foiled by faltering self-confidence. This Britney is more real than the real Britney. This is the Britney Spears who stumbles – even in the spotlight – and is okay to talk about it barefoot. The creative team behind Britney Spears: The Cabaret could be onto something. There is a new genre here, not only a reinvention of cabaret during massive cabaret resurgence but also a fresh approach to telling the story – real or imagined – behind the star. Imagine Christina: The Cabaret, Robbie Williams: The Cabaret, Lady GaGa: The Cabaret. What about Whitney: The Cabaret? Too soon? The format is deftly crafted cabaret and it has a sizable audience. The real tragedy of Britney’s story is that her original vulnerability, her genuine innocence, was so early questioned and wrapped clumsily in tabloid pages for sale to the masses. News today, trash tomorrow. We are drawn into Britney’s journey because we are so familiar with it; not through our own similar experiences (though I can’t speak for everyone) but through the unforgiving eyes of the media. We feel like we know her, we feel comfortable judging her and now we feel compelled to join her for what we know will be a tumultuous ride. We almost feel guilty that this total train wreck of a life is a source of amusement and entertainment. And yet we continue to read about it, talk about it, laugh about it, tweet about it. We feel some sort of despair, some strange pity, for a creature made entirely by the media. It’s not a circus in which Britney stars but a freak show. Whelan has returned to this role after stepping off the STC stage as Gwendolyn in The Importance of Being Earnest. Before that, she was the roller-skating star of the short-lived Xanadu. She says that performing cabaret is a stepping-stone and she feels that vocally, this is her most comfortable gig to date. Little wonder, with arrangements written for her, by talented composer and accompanist, Matthew Frank. Whelan’s talent is such that she sings Britney’s hits better than Britney does. Even Britney’s worst efforts, live and sweaty, sans auto-tune, are made bearable – and absolutely hysterical – in Whelan’s hands. Whelan scintillates, Michelle Pfeiffer Fabulous Baker Boys style, singing Toxic on the piano top. Slave to You becomes a disturbing pageant number, complete with baton twirling, tapping and the biggest little Miss America smile we’ve seen since JonBenet Ramsey’s and it changes the entire tone of the show, setting a much darker course. We’ve had dark moments before this point but all of a sudden, Bryant’s story takes us down into the grim, dark depths of Hollywood childhood. We’re in subterranean levels now and the edges are sharper. 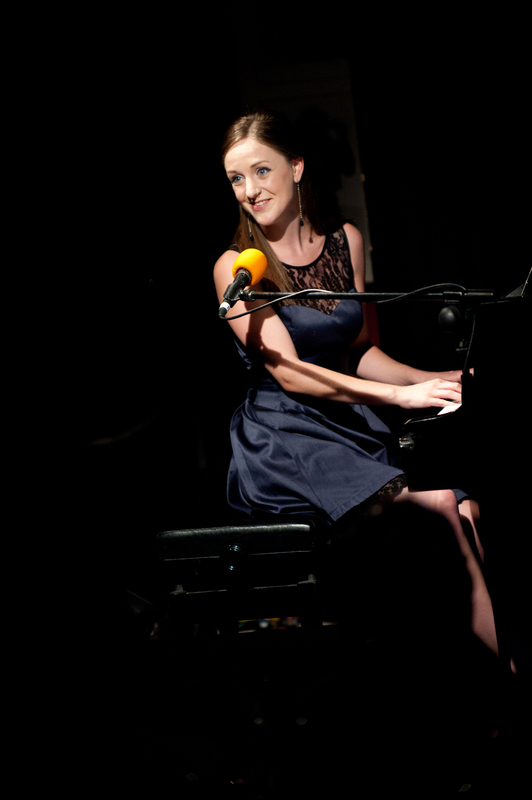 It’s Whelan’s razor-sharp rendition of Womaniser that is testament to her empathy and skill as a performer. Between Brisbane and Sydney appearances, Whelan won over a whole new audience, gifting viewers of Channel Ten’s The Circle with the final number of the show, Baby One More Time. Britney Spears: The Cabaret, much like the real story, doesn’t have a happy ending, it just has an ending for now. And since this act has left town, I can only advise that, in future, you see anything that any of these artists have touched! It’s guaranteed quality.